Need to wake your toddler from long naps? Waking them up can make them cranky. 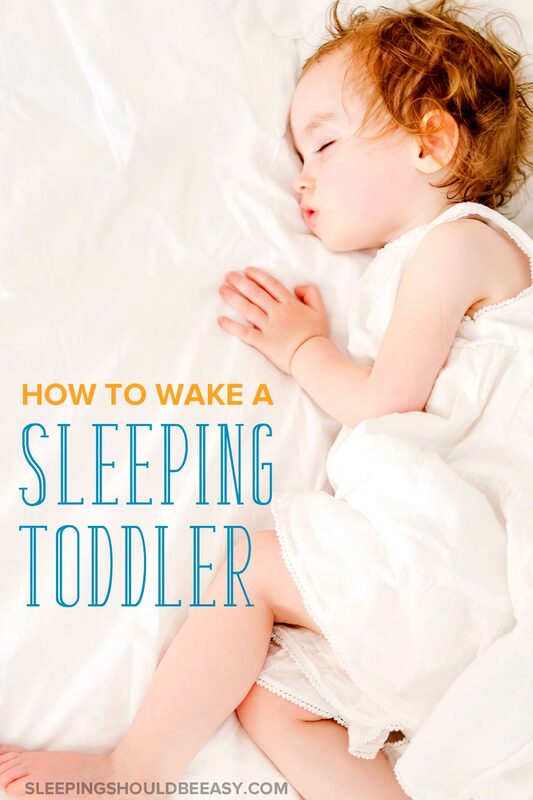 Learn how to wake up a toddler peacefully from a nap. If your child is like my twins, you have a “good” sleep problem: they nap a lot. While my eldest napped for 45 minutes—tops—my twins take a two-hour nap. Many times they sleep even longer than that. 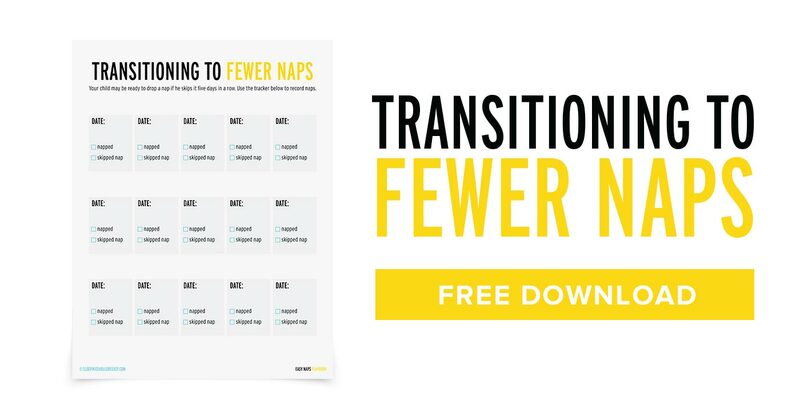 This is great for when I need a break, but not so great when long naps botches the rest of their naps or bedtime. Even an extra 30 minutes could mean they don’t sleep right away come bedtime. Or that the next nap was pushed further back. Because of that, my husband and I wake them up according to schedule. As difficult as it is to wake up a toddler, we avoid having them oversleep. The problem is the waking up part. What do you do when your toddler won’t wake up from nap? When you’re in deep sleep, you know what it’s like to get woken up. It’s not pretty. And when done wrong, my kids have responded by screaming, crying—you name it. And boy did we do it wrong. Before, our previous method began by opening the door to their room. If that didn’t work, we’d open the curtains and blinds. And if they were still asleep by that point, we’d turn the fan off. Sometimes even that didn’t work. But no matter what stage they’d wake up using this method, one thing was for sure: they woke up cranky. I can see why. Waking up to their sleep environment altered is confusing when you’re still sleepy. Has someone ever woken you up from sleep by yanking the curtains wide open? Anyone who has ever been startled awake by a change in the environment knows how difficult it can be to wake up. Your toddler is no different. Going from sleep to having their environment changed so quickly is enough to set her off on a bad mood. Instead, don’t do everything at once and keep the room more or less the same as you gradually wake her up. With the room still the same, start to create a slight disturbance of her sleep to wake your toddler up. Not with the sudden opening of the blinds or turning off of the fan. You might rub your hand over her back, or comb your fingers through her hair. Maybe you’ll adjust her stuffed animal out of her arms, or pull her blankets a little bit down. Or perhaps allow yourself to make a bit more noise opening the door than you usually do. Think of it as almost like a tiny reminder that it’s time to wake up. At this stage, your toddler still isn’t ready to communicate or even process anything you’re saying. Now is not the time to start lengthy strings of conversations. Instead, once she stirs, smile and say something brief like, “Good morning,” or “Hello there.” Keep your voice low and subdued so as not to startle her too much. And keep it brief—she’s far from the mood of talking just yet. One of the easiest ways I’ve woken up my kids without a fuss is to simply climb in bed with them as they begin to wake up. You’re extended her nice, “just woke up” feeling by snuggling with her. This works well if she sleeps in a larger toddler or twin bed, giving you the perfect opportunity to join her as she wakes up. If she sleeps in a crib or small toddler bed, you can carry and place her in another area of the room, perhaps on a recliner or a comfortable pillow on the floor. Or, simply sit by her bed and try to snuggle as best you can by hugging her or laying your head down next to her body. As your toddler starts to wake and stir, now is a fantastic opportunity to offer her a few comfort items. You might hand her a sippy cup of milk she can drink, or a favorite stuffed animal she had been playing with before nap. This transition will keep her mind focused on the positive things she can do now that she’s awake, instead of feeling angry that she had been woken up. Finally, only when she’s awake and feeling content can you transition the room. Turn off the white noise, draw the curtains, and start talking in your normal level. My twins don’t always need this transition time. Sometimes they’ll hear me open the door (their gentle disruption). And they’ll sit up and begin waking themselves up. But there have been many times when not even the loudest noises wake them up. This is when we focus on transitioning them from deep sleep to light sleep and finally to awake time. Start by keeping the room the same for now, and instead create slight disturbances like rubbing her back or making small noises. Lie down next to her, keeping your conversations subdued and simple. Offer a few comfort items to make the transition into awake time feel more positive. And finally, only once she’s completely awake, should you then transition the room to its former state before the nap. Because it’s one thing if your child wakes up all on her own—cranky or happy. But other times, knowing how to wake up a toddler during the day can make all the difference. Did you like this article about how to wake up a toddler? Share it on Pinterest and Facebook! Waking up my 5 year old from naps, on the RARE occasions that he naps, is the HARDEST. I try the talking and patting his back. Though he still wakes up cranky but I just leave him alone for a few minutes. oh, I know the struggle well! Des will nap for 3-4 hours, if left to his own devices. And then he’ll rage in his crib until 10 if this happens. I try to do it gently. I like the idea of creating a slight disturbance! Haha wow four hours, that’s impressive Tamara! But yeah, that pre-bedtime settling in can be a mess when it happens. These are really great tips, Nina! My mom used to wake me up by yelling at the bottom of our stairs, “Up and at ’em!” I get it, she was a busy woman but it was miserable and put me in a bad mod every.single.day. Allison that reminds me of when my older siblings would wake me up by yanking the blinds back and also yelling ‘wake up!’ Lol. So hard to get up that way! These are great tips! I used to gently rub my kids’ backs, which worked pretty well, but I like the idea of a gentle transition from sleep to awake. I always paid for it when I let my kids oversleep. Isn’t it crazy when kids oversleep? You think it’s a good thing until they don’t sleep later! I find it works when you have somewhere to go to after the nap and it’s actually good that they sleep later. But other than that it can be pretty tough to get them to sleep. The clock is a great idea Leslie! This is great. My mother always said to never wake a sleeping baby, but there are times that you just have to. Better to do it peacefully! My daughter is one month old. At what age do you recommend implementing your tips on sleep scheduling and no longer nursing at night? She is gaining weight really well. Do you recommend nursing more frequently during the day so she’s fuller at night? What age do you think she can move from our room to her room in her crib? One month is likely too young to no longer nurse at night. You’d want to check with her pediatrician, but it’s like a few more months after that. Newborn tummies are too tiny to take in all their calories during the day just yet, but over time they’ll be able to eat more during the day. What is considered a half nap my 3 year old still needs her nap but most nights is up to 10:30? Hi Amie, I would make her take a nap in the middle of her awake time, which would depend on when she gets up for the day as well as when she goes to bed at night.